This coming Saturday, February 16, Nigerians will troop out to elect a new President that will pilot the affairs of the nation for another four years. The battle is obviously between Buhari and Atiku. Of the 72 presidential candidates that are eligible to contest the election, both men are generally believed to be the front runners. How will the winner emerge? The contest is arguably between the two leading parties, the APC and the PDP. 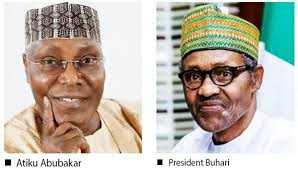 It is therefore no surprise that a number of registered parties have adopted either Buhari or Atiku as their presidential candidate for the February 16 poll. Investigations carried out by The Punch across the 36 states of the federation and the Federal Capital Territory, Abuja, on Saturday showed Buhari in control of about 11 states, while about 10 other states are said to be the strongholds of Atiku. The battleground, from all indications, would be in 15 states including the FCT, where the two contestants are expected to slug it out. The survey shows that whoever wins in each of these states will, most likely, coast home to victory. The states are Kaduna, Niger, Kwara. Plateau, Kogi, Benue, Adamawa, Ondo, Oyo, Osun, Edo, Akwa Ibom, Anambra, Gombe and the FCT. As things stand today in Oyo State, apart from the APC and PDP, three other political parties making headway are the Zenith Labour Party, African Democratic Congress and Action Democratic Party. The body language of leaders of the three parties suggests their supporters will vote for Atiku, leaving the bulk of Buhari’s votes to come from the ruling APC. Though it is too early to emphatically predict who wins here, analysts say the candidate of the PDP is a man to beat because of Buhari’s waning influence among the citizens. The PDP is said to be taking advantage of the leadership crisis rocking the APC in the state. The crisis, which started after Governor Rotimi Akeredolu emerged as the candidate of the APC in the governorship primary that took place on September 3, 2016, has led to the emergence of factions in the party and may affect the result of the presidential election in the state. Although all the factions claim to be working for the return of Buhari, it was gathered that the candidates for the state and national assembly elections were personally working for themselves without the support of the governor or the party. The governor was, however, alleged to be funding the candidates of the Action Alliance in the Ondo South and North Senatorial Districts, Dr Tunji Abayomi and Dr Olatunji Felder, respectively. It was learnt that a number of people from the state were not happy with the Federal Government-controlled APC on the ground that the state had not felt the presence of the Federal Government in the last three and a half years. So, many who supported Buhari in 2015 had reportedly made a U-turn, calling for the change of the government. The state Publicity Secretary of the PDP, Mr. Banji Okunomo, said the whole state was for the candidate of the PDP, Atiku. However, the state Chairman of the APC in the state, Mr Ade Adetimehin, said the party would win the election. “You can see the number of the people that trooped out to welcome Mr President when he came for the rally. This is to tell you how acceptable the President is to our people. We are winning the election,” he added. Kaduna was a PDP state from 1999 to 2015 when Buhari and Nasir el-Rufai, respectively, won the presidential and governorship elections in the state. One thing that will likely work in favour of the President over his main challenger is the fact that Kaduna has remained home to Buhari since he was ousted as the Head of State in August, 1985. Residents, especially the Muslim folks, who form the majority of the voters in the state, have held him in high esteem since then. The bulk of Buhari’s votes will come from areas such as Rigasa, Tudun-wada, Kawo, Zaria and other parts of the northern zone of the state. The folks in this area are said to literally worship and see him as ‘Mai gaskiya’ (a transparent fellow). But the PDP standard bearer (Atiku) is said to be popular in the southern part of the state, which is predominantly inhabited by Christians. This area is considered the stronghold of the PDP. He is expected to get bloc votes there and share the votes from the central zone with the President. The President will reportedly pay for his inability to manage the crisis that forced some notable grass root politicians (members) out of the APC. Among those that exited the party is Senator Suleiman Hunkuyi. These defectors will expectedly team up with some political heavyweights such as the former Chairman of the National Caretaker Committee of the PDP, Senator Ahmed Makarfi; former Vice-President Namadi Sambo; and a former governor of the state, Ramallan Yero. These politicians will prove that they are in charge of the state. Also, members of the Shi’ite movement, whose leader, Sheikh Ibrahim El-Zakzaky, and wife, Zeenat, have been in incarceration since 2015, following their clash with the military, would want to prove a point. Though, they have never voted since 1999, it was gathered they had obtained their PVCs to vote out Buhari and Governor Nasir El-Rufai this time round. Gombe State will be a straight fight between Buhari and Atiku. Members of the ruling PDP in the state are upbeat about the prospects of retaining power as they argue that the outgoing Governor Ibrahim Dankwambo has given a good account of himself. The state Chairman of the PDP, Joel Jagafa, however, dismissed the claims by the APC leader. He said those who left the PDP to join the APC were either people who had lost political value or those who had skeletons in their cupboards and were afraid of being probed by the Economic and Financial Crimes Commission. A Gombe-based independent analyst, Mr Segun Awoleye, said, “It will not be out of place to say this will be a very close race. I dare say regional sentiments and the incumbency factor may work in favour of Atiku and the PDP.” He predicted 55/45 per cent for Atiku and Buhari, respectively. As political alliances shift among politicians in the FCT, there are chances that the over one million votes in the seat of power may be shared by Buhari and Atiku. The sole senator representing the FCT in the Senate, Philip Aduda, is seeking to retain his seat in the Senate and is rallying support for his party and its candidate, Atiku. On the other hand, the Minister of the FCT, Mohammed Bello, is rallying support for the APC and its candidate. Analysts see the presidential election results standing at 50/50. Buhari may score more votes than Atiku in Kwara in the presidential poll going by the current rigorous campaign in the state on the need to change the managers of the state’s affairs. But the PDP leaders are not leaving anything to chance with their campaign that power must change hands at the centre in order to have a buoyant economy. The APC’s change mantra, which has been coined into a campaign slogan ‘O to gee’ (Enough is enough) seems to have resonated well with many people in the state. Today, the voting ratio of the people is predicted as 55 per cent to 45 per cent in favour of the APC candidate. Each of the two parties is expected to win one senatorial seat. The North senatorial seat will be decided by the traditional rulers who are still very influential in their respective domains. The state APC Publicity Secretary, Folaranmi Aro, said the voters were excited about the change slogan of the party. “Wherever we went, people received us with enthusiasm and our slogan, ‘O to gee’, has sunk into the minds of the people. They are happy about the social programmes being executed by President Buhari and Vice-President Yemi Osinbajo. We are sure that they will vote for the APC,” Aro said. But the state Publicity Secretary of the PDP, Tunde Ashaolu, said the people were hungry and therefore had fallen for the party’s campaign issue of reviving the economy of the country as promised by the presidential candidate of the party, Atiku. A public affairs analyst, Taiwo Otitolaye, said all eyes would be on the two leading contenders, adding that the electorate would decide the winner of the election through their votes. One week to the presidential election, the likely voting pattern in the confluence state of Kogi is gradually unfolding. Out of the 91 political parties registered by INEC to participate in the election, only the APC and the PDP are visibly on the ground for the presidential election. Interestingly, analysts are of the view that the outcome of the election will be largely decided by the level of the acceptance of the Governor Yahaya Bello-led administration by the people. That may not look good for Buhari. The rating of the APC in the state has reportedly dropped significantly following Bello’s unpopular policies and reported neglect of some areas. For instance, he has embarked on prolonged civil service reforms, which led to many losing their jobs while those remaining groan under a backlog of unpaid salaries running to several months. For instance, in Lokoja, the state capital, voters are sharply divided along the traditional residents and the settlers. Senatorial analysis puts Kogi East as having 52 per cent of the total voting capacity with nine local government areas. The people from this area are said to be unhappy with their neglect even though the incumbent governor rode to power on the death of their illustrious son, Abubakar Audu, just when he was to be declared the governor-elect. In the West, history shows that the people have always leaned towards the PDP. The PDP structure, which temporarily collapsed into the APC in the 2015 election to support James Faleke, the then running mate to the late Audu, has since returned to base after the return of Faleke to Lagos. Analysts believe that in the presidential poll, the PDP might narrowly carry the day. In Anambra State, while the masses seem to be rooting for Atiku, the All Progressives Grand Alliance has shown tacit commitment to the Buhari’s re-election bid. The state governor, Willie Obiano, recently hailed Buhari for the infrastructure he brought to Anambra State since 2015, including the completion of the mausoleum of the first President of Nigeria, the late Dr. Nnamdi Azikiwe; work on the second Niger Bridge and road rehabilitation in the state as well as the South-East generally. Obiano is also reported to have described the endorsement of Atiku and his running mate, Peter Obi, by the Chief Nnia Nwodo-led Ohanaeze Ndigbo as “idiotic”. To still show his support for Buhari, the governor, in a meeting with the Lagos branch of the Ohanaeze Ndigbo said Buhari had a “strong feeling” to give the South- East an additional state. Many are of the view that the governor’s support would be to the advantage of Buhari in the presidential election. But the Anambra Central Zonal Publicity Secretary of the APC, Arinze Igboeli, told The Punch that Buhari would garner over 45 per cent of the votes in the February 16 presidential election in Anambra State. The spokesperson for the PDP in the state, Okoli Akirika, however, said Atiku would sweep the presidential poll in the state. “All political indices irresistibly point to a resounding victory for Atiku Abubakar. The vice-presidential candidate of the party is from Anambra State and he has not only political goodwill but also electoral value,” he said. Political observers in Plateau State are predicting that the outcome of the 2019 election may not be different from the results of the 2015 presidential poll in which the PDP candidate won with over 120,000 votes margin in the state. Ogunsuyi’s position tallies with the position of the Chairman, Media and Publicity Committee of the PDP Campaign Council, Mr Yiljap Abraham, who told SUNDAY PUNCH that Plateau belonged to the PDP. The state APC thinks otherwise. The Plateau State Secretary of the party, Mr Bashir Sati, said Buhari would defy every prediction to emerge victorious given his acceptability in the state. Benue State, since the present political dispensation, has been one of the strongholds of the PDP. The state has since 1999 been controlled by the PDP until 2015 when the wind of change blew off the PDP umbrella and enthroned the APC. But the PDP is gradually picking up the pieces of the umbrella and restoring its lost glory. The event that brought the party back to power in Benue was the defection of the Benue State Governor, Samuel Ortom. Ortom elected on the platform of the APC had lashed on the herdsmen’s several attacks on the state to return to his former party, the PDP, to join forces with the former President of the Senate, David Mark; an erstwhile Minister of Interior, Abba Moro; and a former governor of the state, Gabriel Suswam. The forces will be contending with Senator George Akume, the only big name in the APC, to turn the table against Buhari whose popularity has dwindled with his government’s seeming nonchalant attitude towards the herdsmen’s attacks on the people of the state. But both the former Commissioner of Police in Lagos State, Alhaji Abubakar Tsav, and the state APC Publicity Secretary, James Ornguga, said the PDP should not celebrate yet, insisting that the APC could spring surprises that would jolt the PDP. Ornguga said unknown to the ruling PDP in the state, the APC had gone to all the nooks and crannies of the state to explain to the people that the Ortom-led PDP only changed the narrative of the killings in the state. “Buhari has a brighter chance to win the presidential election; you can see the crowd at the presidential campaign rally yesterday, (Wednesday), despite all the terrible things the PDP government has done to vilify the party,” he said. Edo State was one of the PDP’s strongholds until the coming of Adams Oshiomhole. The former Nigeria Labour Congress leader, who contested the governorship poll on the platform of the Action Congress in 2007, only realised ambition to rule the state a year later after the Election Petitions Tribunal nullified the PDP’s Oserheimen Osunbor’s election. Thereafter, the AC, which metamorphosed into Action Congress of Nigeria and later the All Progressives Congress, took full control of the state for nearly seven years. But the opposition PDP, which currently has five seats in the state House of Assembly, changed the story during the 2015 elections when it won the presidential election, two of the three senatorial seats and five of the nine House of Representatives seats. Ever since the state can no longer be regarded as a full APC state. In fact, there have always been claims and counterclaims about who truly owns the state between the two leading parties. In recent times, the PDP has claimed APC members have defected to the party during their campaigns. And the APC has also claimed to have received thousands of PDP defectors. Speaking on this issue, spokesman for the PDP in the state, Chris Nehikhare, said they would not only win Saturday’s presidential poll but also improve on their 2015 showing. “We will win more this time round. We lost one senatorial seat (in 2015) but this time round we are going to win all the seats. The chairman of the APC in the state, Anslem Ojezua, said his party was ready to win the presidential poll. A political analyst, Anthony Ogbeide, is of the opinion that both parties have an equal chance to win the presidential poll in the state. He said, “Many seem to be tired of the ruling APC. They (voters) would want a change and they have their reasons. The unabated killings by suspected herdsmen, the lopsided appointments by President Muhammadu Buhari, the high cost of living, unemployment and so on, are some of the reasons. “However, you cannot totally give it to the PDP. As a person, the credibility of President Buhari is still much more intact. No one has faulted his integrity. That could work in his favour. The presidential poll in the state will be a fierce contest between the ruling APC and the opposition PDP, judging by the performances of both parties in the governorship poll last year. APC’s Adegboyega Oyetola and PDP’s Ademola Adeleke both finished neck and neck in the September 22, 2018 poll. It took the support of the Social Democratic Party for the APC to win the runoff five days later. Buhari will definitely enjoy the support of the state government. The defection of a former Deputy Governor of the state Iyiola Omisore is an advantage to Buhari. But the Chairman of the Coalition of United Political Parties, Prince Olagunsoye Oyinlola, who is a former governor of the state, and other opposition party leaders are working for Atiku. Atiku’s wife, Titi, is from the state and this could help the PDP. The Legal Adviser of the PDP in the South-West, Mr Kanmi Ajibola, who is based in the state, said Atiku would win the election in the state. He said Nigerians, including Osun residents, were tired of the APC government and would not hesitate to vote out Buhari due to increasing insecurity and poverty in the country. Spokesman for the APC in the state, Mr Kunle Oyatomi, told one of our correspondents that Buhari would win the election. He said corruption was the order of the day during the PDP regime and that Buhari had done a lot to reposition the country. Vasta, a former spokesman for the APC in the state, told The Punch that the poor in the state would vote for Buhari.